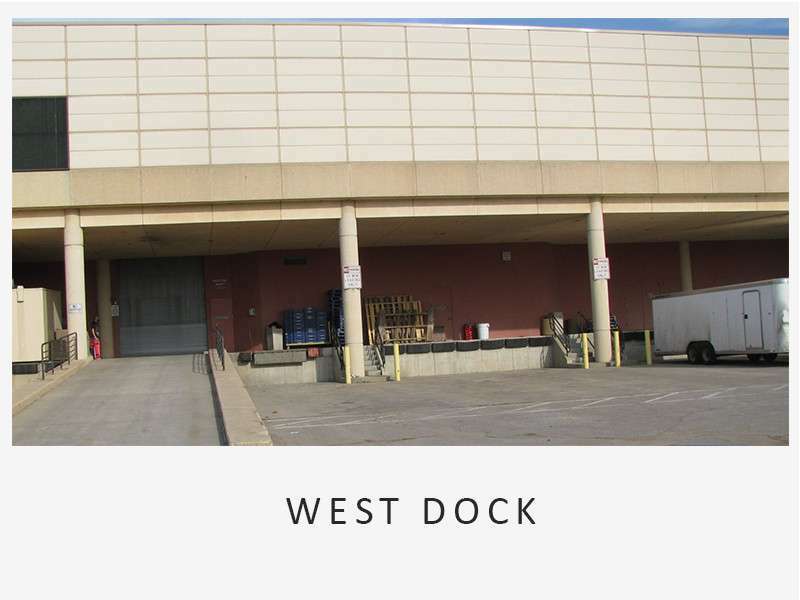 This is on the west side of Century II Expo Hall which has dock for freight unloading and a ramp. A street coming off of Douglas at Waco serves the dock. It is on the south end of the Expo hall. From the corner of Main St and Waterman St, go west on Waterman street to the turn in west of the parking lot. 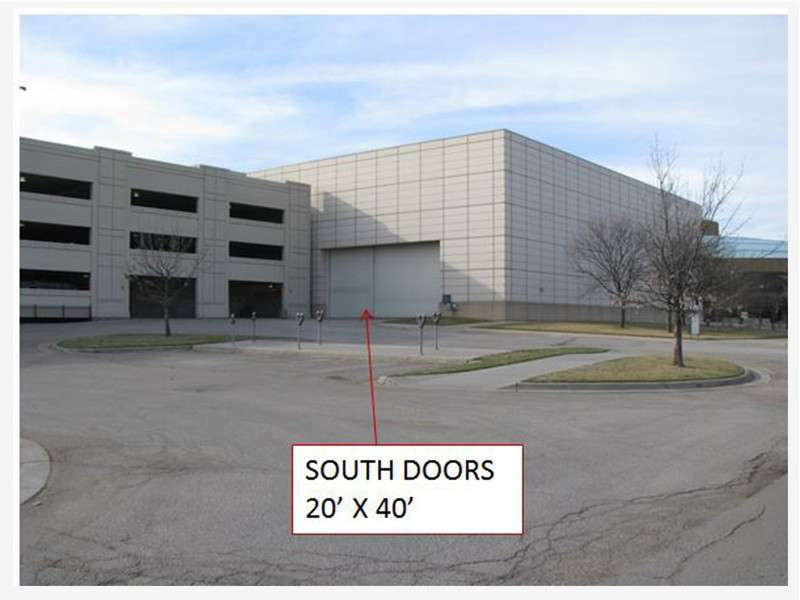 The Wichita Industrial Trade Show cannot accept exhibits before October 17th 2019. If crates, pallets or boxes are to arrive before October 17th then contact one of the following companies to receive, store and deliver the freight to Century II on or after October 18th this will be done at the exhibitor’s expense. Packing cases, crates and boxes cannot be allowed to be behind the curtains, contact a WITS Volunteer for the storage of the crates and boxes, for more information refer to the WITS Show Website. 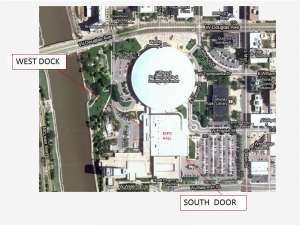 All exhibits must be in place for the show to open at 12:00 Noon Oct 22nd. Wits volunteers (with fork lifts and carts) will pick up and store your containers, boxes and crates until after the show, however you must have a label on each piece in storage with your booth number and all other labels with booth numbers from other shows have been removed It is suggested to take pictures of the crates and boxes you are sending to storage. As space allows storage is free. At 4:00pm on Thursday the show will close and the Exhibits can be removed. The WITS volunteers will bring your boxes, crates and container to your booth that have been in storage if you have them marked correctly. It is the responsibility of the exhibitor to make arrangement for the pickup of all crates and exhibit containers. PLEASE LOOK AT THE SECTION WHICH APPLIES TO YOUR BOOTH. We prefer to have everything picked up on Friday. For Crates and Boxes Being Picked by: Freight Companies, UPS, FedEx, contract carriers, etc. Come to booth 947 and fill out the form for boxes and crates being picked up freight companies, UPS, FedEx, and contract carriers. We prefer that everything is pickup on Friday Oct 20th. Leave the boxes and crates in the Exhibitor’s booth unless instructed otherwise. Attach the shipping documents to the crates and boxes. When the freight company or parcel company comes the WITS Volunteers will bring your freight to the dock for ship out. As a courtesy, the volunteer fork lift drivers will load the crates and exhibit containers (under 3,000 lbs. ), at no charge. IMPORTANT – Suggested you take a picture of all boxes and crates which are ready for shipment. If you wanted to forward a copy of the pictures to the WITS office via email; wits@witshow.org we would appreciate it. If you need pickup after Saturday, Oct 21st at 12:00 noon, contact the Henry Helgerson Co. (316-943-1851). There will be a charge for this storage and shipping service. Any freight not picked up by 12:00 noon on Saturday Oct 21 will be sent to the Henry Helgerson Co. Who will store it and the exhibitor will pay the charge for this service.